We are your neighborhood candy store offering products you’ll love in a fun friendly atmosphere. 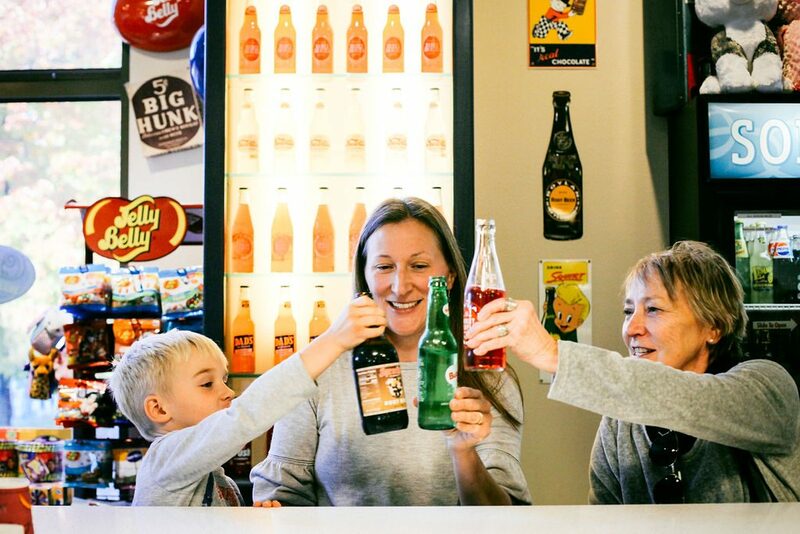 We invite you to stop in, taste the best ice cream around, check out our epic selection of nostalgic candy, handcrafted chocolates, glass bottled sodas, gifts perfect for any occasion, international candies from all over the world, and so much more! 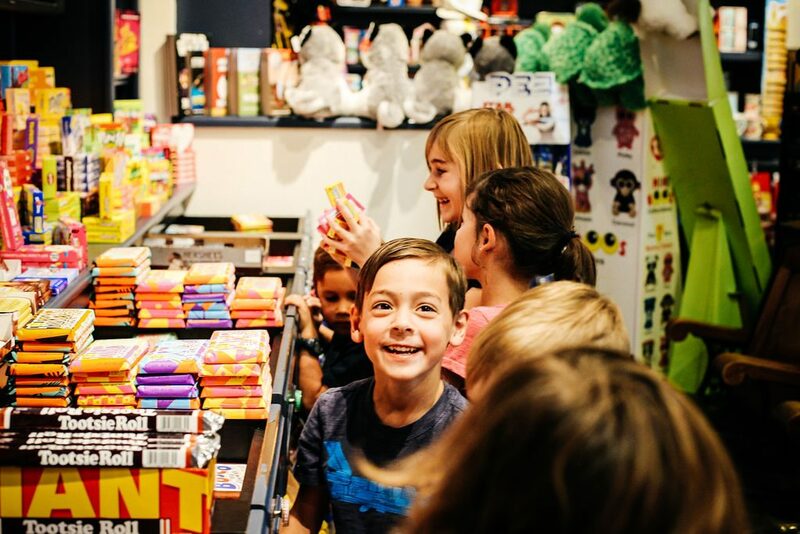 As kids, there was nothing more exciting than choosing your own sweet treats and paying for them with a fistful of coins that had been saved-up for just such an occasion. Walking home with a brown paper bag full of Sixlets, Blow Pops, a Nut Goodie, and a bottle of Nesbitt’s strawberry soda, was nothing short of sweet success! We want this experience to continue for generations to come. Every day, we feel fortunate to see people of all ages discover and rediscover long lost treats. Children, friends, parents and grandparents share their memories. We are part of the neighborhood. We get to know many of our customers and their families. We meet grandparents when they are visiting. We get to witness the generations talking and sharing childhood memories… it truly is the best part of our what we do! We look forward to meeting you and your family. After 12 years in business, we are delighted to share the good times with friends and neighbors of all ages, generation after generation! There are currently three independently owned Cravin’s Candy Emporiums located in Bend OR, Boise ID, and Windsor CA.